– over 30+ years of experience. Only the most reliable tradies. 24/7, 365 days of the year. There’s no more trusted name in blocked floor waste repairs in Sydney. 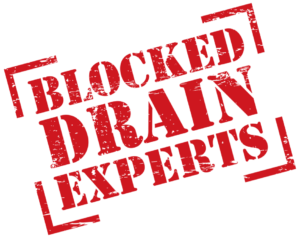 Book with Blocked Drains To The Rescue today. There’s no other option. With an amazing team of trustworthy tradies, our blocked floor waste Sydney service has been relied on for over 30 years. Our team are licensed, professional, and courteous. We’ll always clean up after ourselves, and lay down protective sheeting to protect your precious home. With meet-your- team emails and constant communication, there’s no surprises. And, no bill-shock: with no hidden costs or nasty surprises, we’re trusted by Sydney residents everywhere. Ever notice those nasty particulate blockages in your shower drain? Don’t worry. With on-time service, we can get your shower running before you get too grossed out. If your basin is emptying slowly, or overflowing, it’s time for a repair. Call for 24/7 service, 365 days of the year. Whether a combined tub and shower or a free standing showerhead, we’ve got 150 specialist tools in each van – all we need to get your blockage cleared. There’s no one else to trust. With so many dodgy dealers in the industry, you need a team who are efficient. Trusted. Reliable. With on-time service, up-front and honest quotes, and speedy repairs on all shower basins, drains, and floor wastes, we’ve got everything we need to get the job done, to your satisfaction, every time. Whether it’s a shower basin or the floor drain in your bathroom, don’t settle for second best. Trust the Blocked Drain Experts©. With 24/7 service on every job, we’re trusted. We work with the highest quality plumbing brands, every time. Trust us for reliable service and advice.